Our specialist Model Railway sale held on 18th March 2015 had excellent attendance in the room with over 90% of lots offered selling on the day. We began the auction with the real steam section. 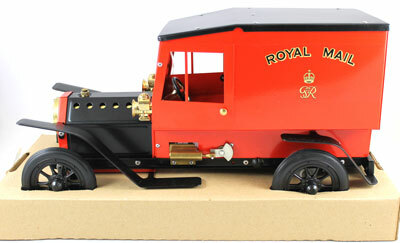 The highlight was this mint condition unfired Mamod Post Office Van which sold for £188. The O gauge section came next which including this modern made ACE Trains A1/A3 Class LNER 2750 ‘Papyrus’ locomotive and tender selling for above estimate at £472. 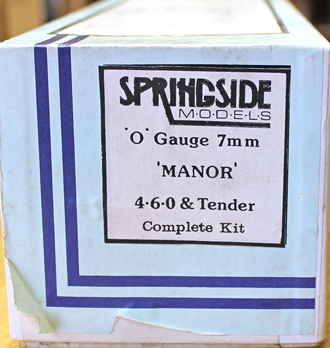 This unusual O gauge Springside Models ‘Manor’ Class 4-6-0 loco and tender unmade kit sold for £236. In the ever popular OO gauge section a variety of locomotives, coaches and wagons by Marklin were sold, the highlight of which was this digital Class BR10 4-6-2 which achieved £188. Lots by Wrenn were also popular with bidders, in particular this LMS 6160 ‘Queen Victoria’s Rifleman’ 4-6-0 sold for £247. This LMS 6256 ‘Sir William A. Stanier F.R.S’ achieved £188. But the highlight of the Wrenn section was this lovely LMS 6244 ‘King George VI’ which was described as being in mint condition which sold for an amazing £448. 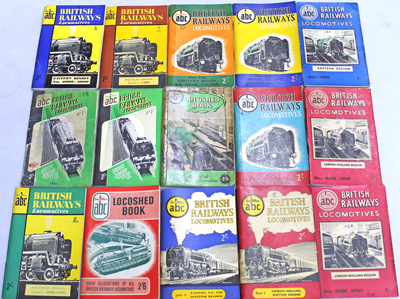 The railwayana section was also strong in this auction with lot 571 a collection of 91 railway pocket books selling for £365, which was 5 times the estimate! Our next Model Railway auction will be held on Wednesday 20th May 2015. The full catalogue for this sale will be on our website in the next few weeks or keep an eye on our Twitter and Facebook accounts which will include updates of our latest auction news.